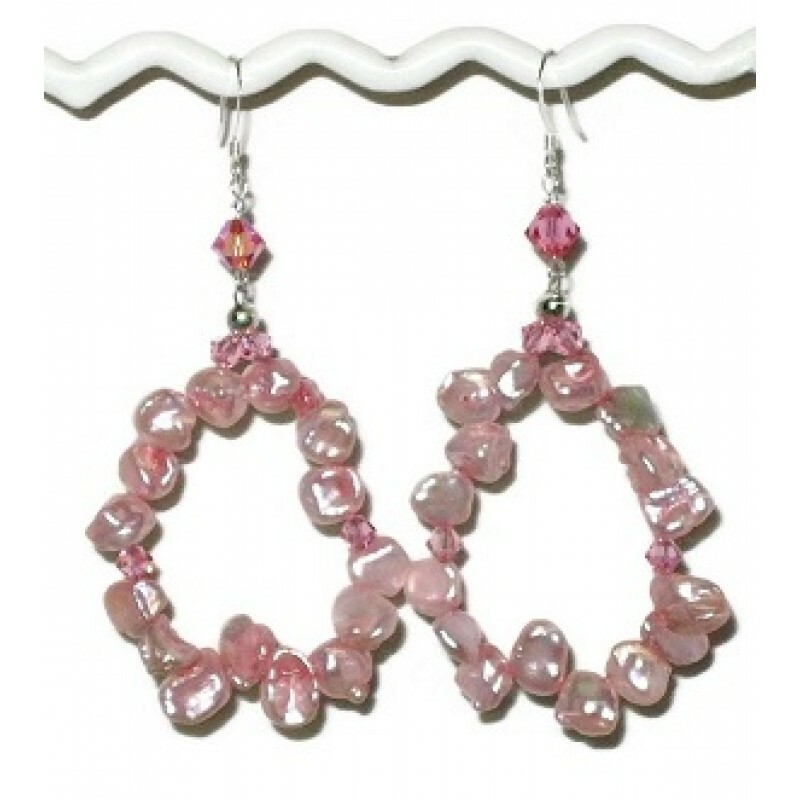 These pink keshi pearl earrings will give you a look of elegance. They are made up of keshi pearls and Swarovski crystals. The length of the earrings including the silver-plated earwires are approximately 3 inches.